Acquaint yourself with some of the world’s fastest growing companies and the out-of-the-box thinkers in our new blog series “A Global Mindset: How 7 Standout Startups Navigate International Opportunity.” Each week we shine a spotlight on entrepreneurs who have integrated a global perspective into their work. Sometimes, that means traveling to a different continent to see how others view the problem you’re trying to solve. This week we’re featuring Sanskriti Dawle and Saif Shaikh, founders of Thinkerbell Labs, a startup that's enhancing learning for the visually impaired by making fresh contributions to braille technology. Launched in their second year at the Birla Institute of Technology and Science in Southern India, Sanskriti and Saif brought their work to London, where they found connections and opportunities that propelled their company in exciting new directions. This is part 7 of 7 (the final segment!) of our “A Global Mindset: How 7 Standout Startups Navigate International Opportunity” series. Check out part 6 with Saumya Sahay of Kheyti. Sanskriti: We are a tech startup currently based in Bangalore and London. We develop braille learning technologies for the visually impaired. That includes our flagship product, Annie, which is a hardware device, as well as our software suite and content distribution platform that we use to push out our content on Annie and other braille devices in the market. The braille literacy rate is very low globally. It's less than 1% in India, less than 10% in the US, and single digits around the world. That's due to a lack of special educators. So we try and use technology to bridge that gap in the market. Sanskriti: We started at a hackathon in college and one of our founders went to school next to a blind school, so that was his connection to the cause. From there, the idea grew. Where are you originally from? Is there a large entrepreneur community there? Sanskriti: I’m from Kuni and Saif is from Mumbai. We all went to college at BITS Pilani [the Birla Institute of Technology and Science in Pilani] in Goa. The entrepreneur community is pretty fledgling there right now, but there is a very good technical community and a very enthusiastic bunch of students. We had an incubator program on campus, including several courses and a whole a startup community within the college itself. Our college also has a very widespread alumni network of entrepreneurs who supported us with mentoring, introductions and things like that. How did you discover MassChallenge and what pushed you to apply to their UK program? Sanskriti: We won a competition hosted by the UK Government’s Department of International Trade called Great Tech Rocketships. They identify top innovative startups in India and try to give them market exposure in the UK. We won the competition while we were still in college. That experience gave us the chance to explore the UK market for our product and it was a really good fit. I learned how to introduce our product in this market, which is where MassChallenge fits in. We were then accepted into the 2016 MassChallenge cohort program. How did your different cultural experiences and backgrounds play a role in the growth of the company and help you achieve success in a new country? Saif: We believe we brought a unique aspect to the hardware business. The idea of building things that are cost efficient yet still providing maximum use to the user. 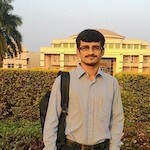 That was one of the unique key values that we brought from India when interacting with other contributors in braille tech. Sanskriti: Traveling to the UK, we discovered a larger awareness of accessibility around the topic and realized it was an infrastructure issue versus a disability in India. In India, there is still a long way to go in terms of public awareness about accessibility and disability rights. In the UK, the system is much more evolved with government assistance being more structured around special needs. This meant there is more of a market there for our product. You set up your first office in Bangalore. What’s the startup culture like there? Sanskriti: Bangalore has one of the most vibrant startup communities. There’s a massive pool of talent. You can always find someone who can help you out. You never have trouble finding the right people. What advice would you give to other startups looking to open an office in a different country than their own? Sanskriti: It’s very context-specific. In our case, it made sense because our product addresses a global case and it was up to us to make sure it reached other markets. It all depends on how you the evaluate opportunity. Before expanding, you want to make sure your product is a market fit and whether it’s worth the risk. 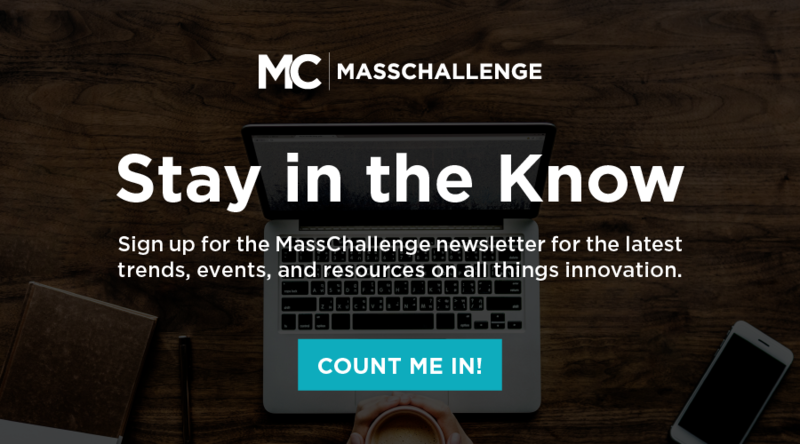 What was the most valuable aspect of MassChallenge for your team? 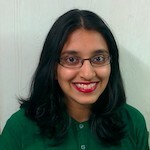 Sanskriti: For me personally, being a part of a cohort was hugely useful. I was working alone when I came to the UK so being a part of startup community with other entrepreneurs was amazing. It gave me a sense of belonging, which was something I really needed in a new market. And even years later, I’ve stayed in contact with people I met. Saif: Shivam and I attended the MassChallenge Global Summit last month in Boston. It was one of our first trips to the US and we were beginning to consider expanding there. We thought the Summit could be a good way to connect with key players in the US. One of those players was Perkins, one of the biggest manufacturers and distributors in the world, as well as the largest blind school in the US. We really wanted to get connected to them. The day before the summit we met them, and just the next day we had a meeting set. So it’s really the exposure and the connections that MassChallenge provides, especially the pace and speed at which these connections are made. It’s incredible. That’s one of the reasons we are always grateful for MassChallenge. We hope you enjoyed our series “A Global Mindset: How 7 Standout Startups Navigate International Opportunity.” To read past interviews, visit the MassChallenge blog.